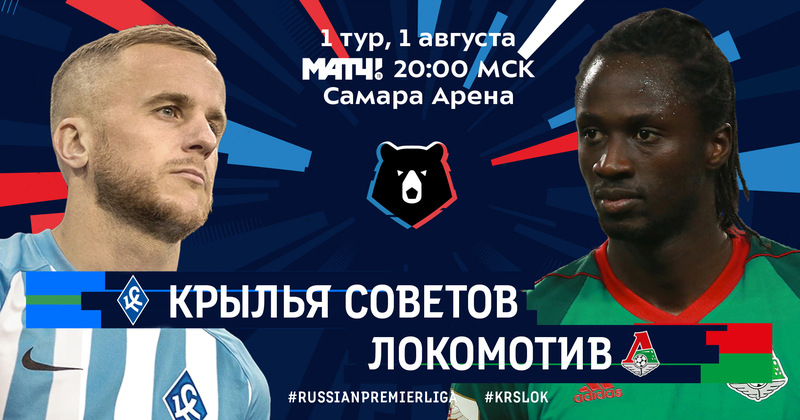 Task: to continue work on the style of a soccer championship. 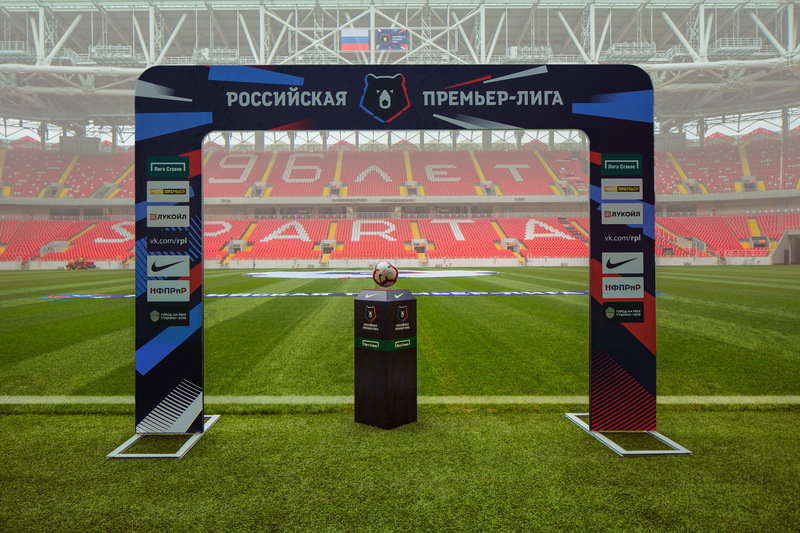 Russian Premier League is the country’s most important soccer tournament. 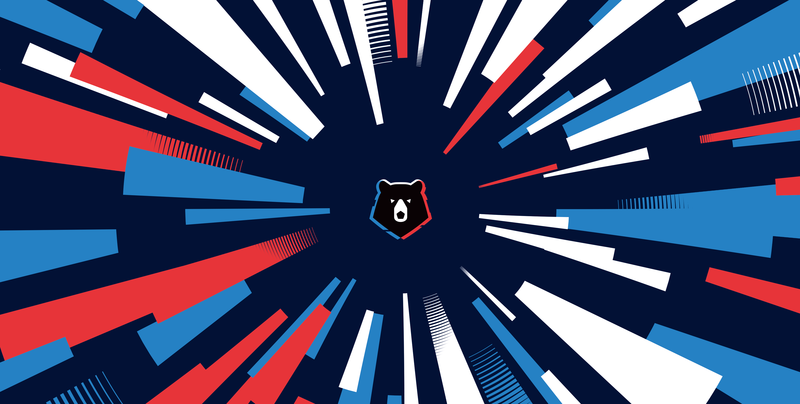 A full set of identity elements for the championship was developed at the studio. 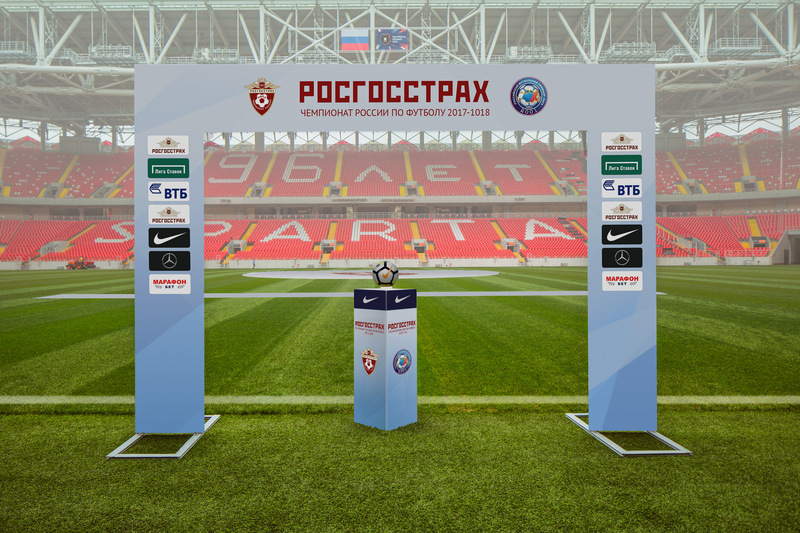 The logo was used to create several signature backgrounds that will work for any occasion including decorating stadium arches, banners on the field, press walls and other elements. 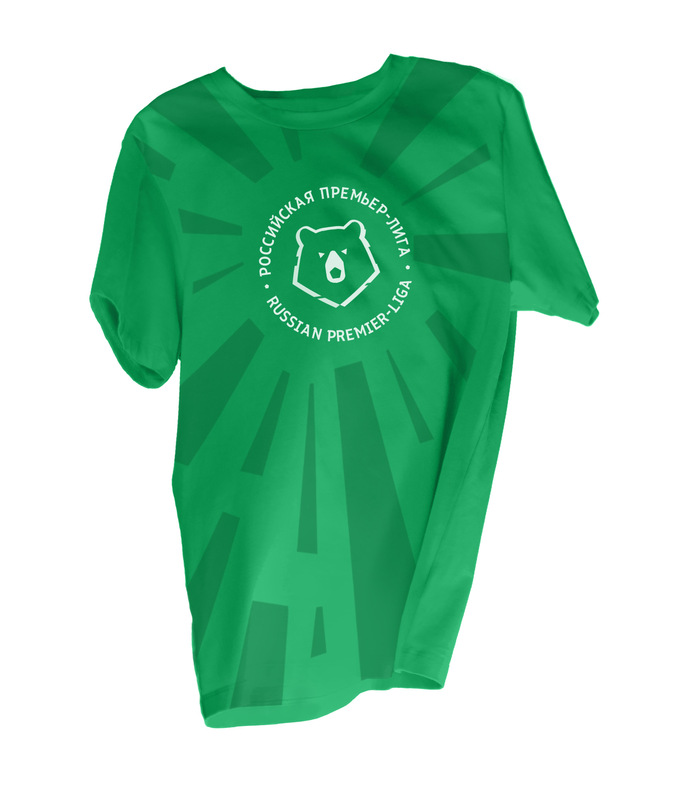 And of course the pentagonal soccer bear is always at the center of attention. 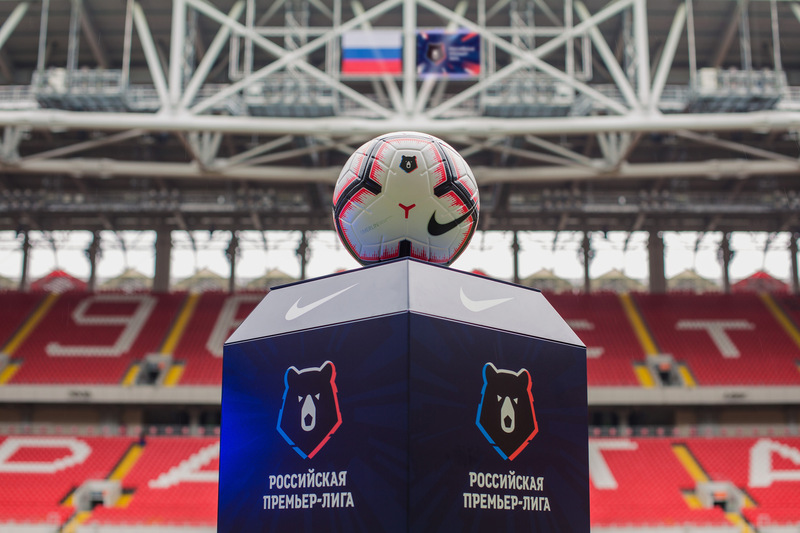 The bear is depicted on the ball stand, the ball itself and the flag which is unfolded in the central circle before each game. 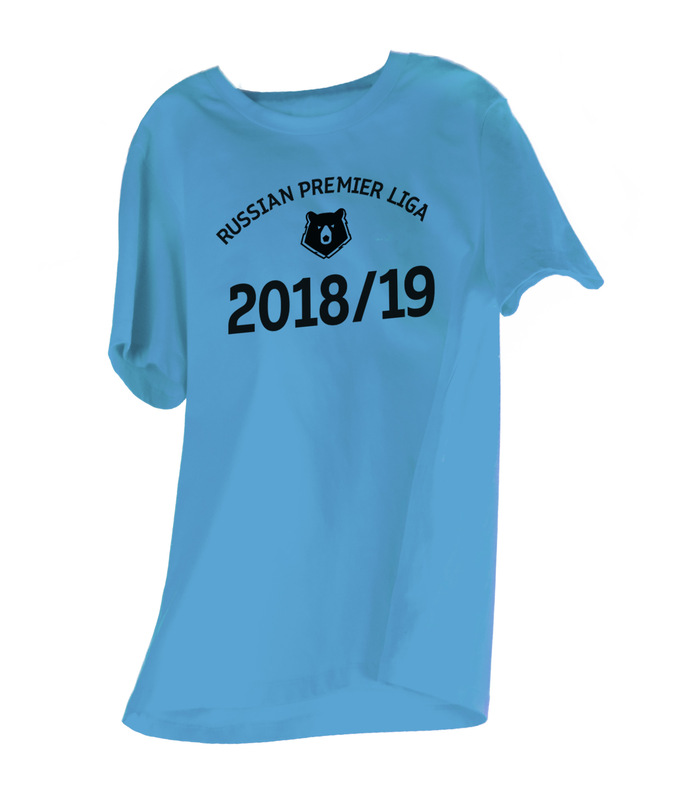 We would be amiss if we didn’t use the new logo in the design of RPL player uniforms. 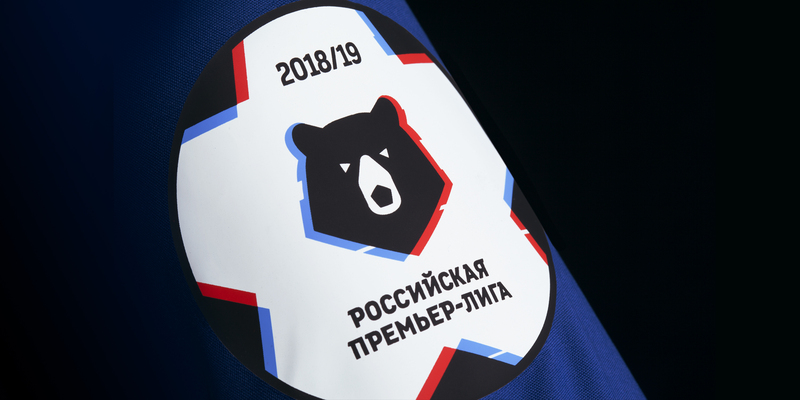 A shoulder patch on the club’s jersey contains the current season designation and the name of the tournament, both typed with RPL’s corporate typeface. 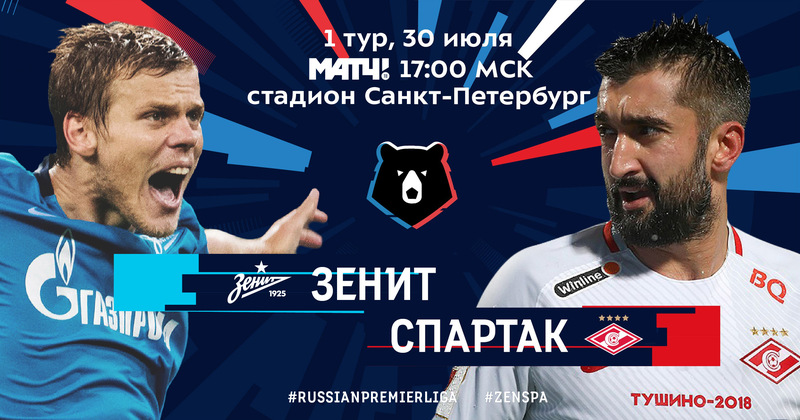 When announcing key games, organizers usually prepare posters: they take the template prepared by us, add photos of the most famous players of the competing teams and some hash tags. 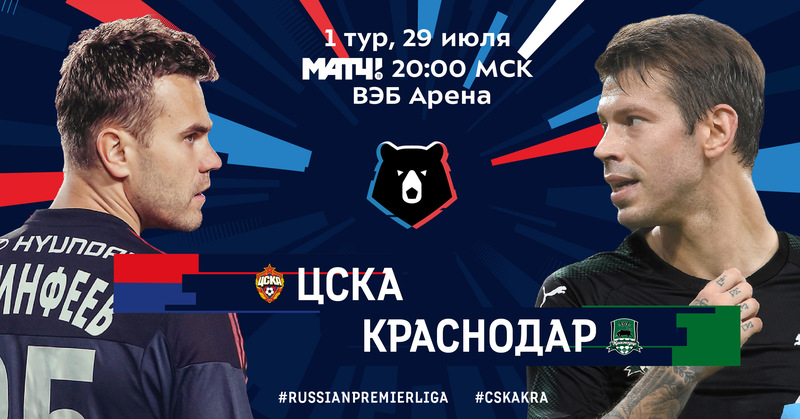 The players on the poster have to look at each other and the hash tags need to be simple and unambiguous. Color bars are used liberally in the typography, making the text look like frozen movie subtitles. The identity created at the studio works great in real life and on websites. 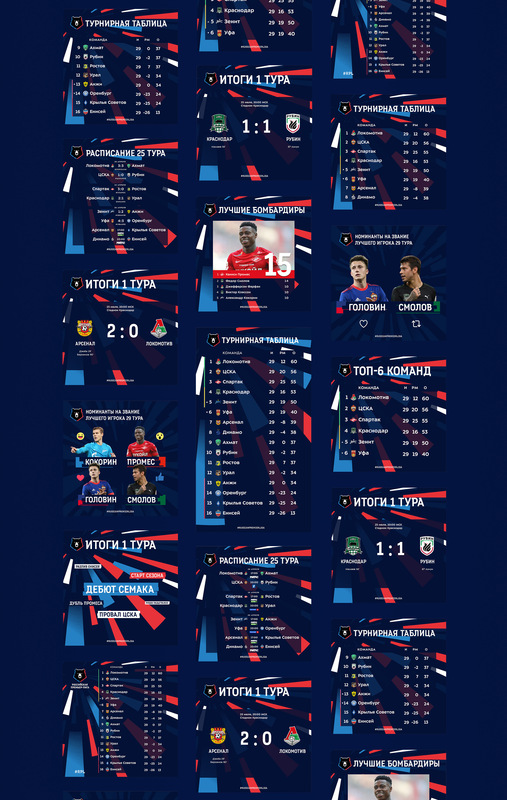 We created templates for several publication formats: tournament grids, announcements of the most interesting matches and overall result tables. You can enjoy them from your desktop or mobile device. 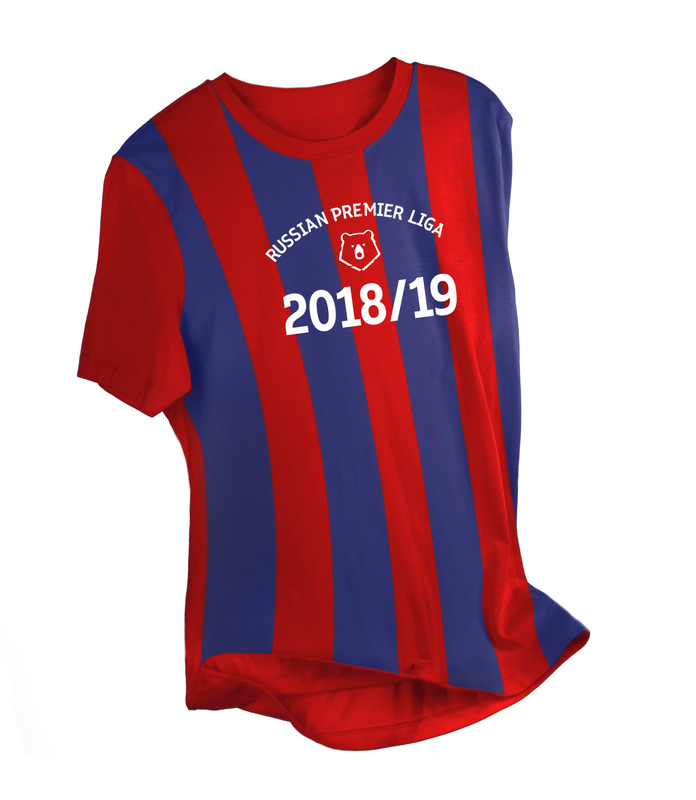 Fans who want more than just attending matches, following games on TV and reading about soccer in newspapers will appreciate the newly designed souvenirs. Restrained business documentation was created for those with a working relationship with the Premier League.